Fish of the Month August Entry - Exe Valley Trout! 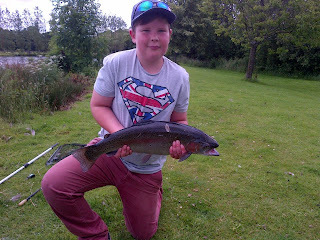 Moreland Smith with a 7lb Rainbow Trout he caught at Exe Valley Fishery on a dry fly! A nice Trout on the Dryfly!